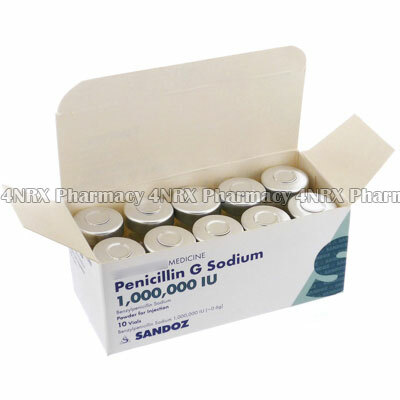 What is Penicillin G Sodium Injection (Benzylpenicillin Sodium) used for? 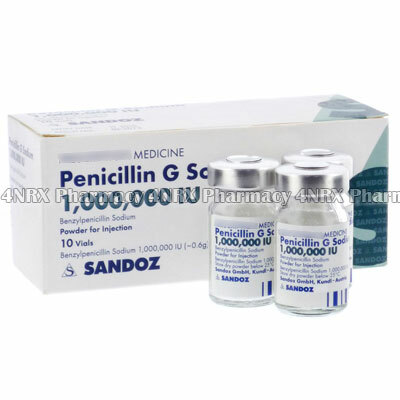 Penicillin G Sodium Injection (Benzylpenicillin Sodium) is an injectable narrow spectrum penicillin antibiotic used to treat severe infections such as pneumonia, endocarditis, lung abscesses, or septicaemia. The medication destroys the bacteria cells or slows their reproduction to allow the immune system to eliminate the infection. Your doctor may also use this medication for the treatment of other unlisted conditions. How should I use Penicillin G Sodium Injection (Benzylpenicillin Sodium)? Penicillin G Sodium Injection (Benzylpenicillin Sodium) should always be administered by your doctor or a fully trained health care professional in a hospital or clinic. The correct dosage will be determined according to your age, weight, health condition, and the severity of your symptoms. This dosage should then be injected directly into the muscle or a vein. If you are required to perform your own injection, make sure you are fully instructed in the correct procedure to ensure the best usage. Always attend any follow up appointments required by your doctor as halting the use of the medication before the infection is destroyed may result in its return. What are the side effects of Penicillin G Sodium Injection (Benzylpenicillin Sodium)? Inform your doctor immediately if any worrying or intense side effects occur such as sensitive skin, easier bruising, fever, flu symptoms, severe diarrhoea that is bloody or watery, agitation, urinary retention, seizures, or severe skin rashes. These conditions may require lower doses, reduced frequency of administration, or emergency medical attention in serious cases to prevent further health problems from occurring. Penicillin G Sodium Injection (Benzylpenicillin Sodium) should not be used by patients who are pregnant, breastfeeding, who have had a bad reaction to similar treatments in the past, or who have chronic liver disease. Also disclose if you have systemic lupus, psoriasis, reduced kidney function, decreased liver function, or if the patient being treated is a child. These conditions may require special adjustments to your regimen to prevent unexpected health problems from occurring. Strictly use Penicillin G Sodium Injection (Benzylpenicillin Sodium) as prescribed and follow all instructions provided by your doctor. Safe, suitable, and optimum dosage can vary and is dependent on the patient`s health and medical history, as well as the condition you are treating. Penicillin G Sodium Injection (Benzylpenicillin Sodium) may not be safe or suitable for all patients. Always ensure you doctor is informed if you are pregnant or breastfeeding, using any other type of medication (including non-prescription medicine, vitamins, and supplements), as well as if you have any allergies, other illnesses, or pre-existing medication conditions.